I normally wouldn’t devote much thought, let alone an entire blog entry, to a xenophobic troglodyte like Ann Coulter, but was inspired after watching the World Cup yesterday. This is a response to her shoddily written article about Fútbol (soccer) that created quite a stir on social media last week. Before I address Coulter’s article, I would like to infuse some media literacy and survey her mindset. Coulter knows her audience (market). She operates much like Fox “News”, appealing to a certain narrow-minded and largely intolerant demographic. Interestingly, most Fox “News” viewers do not realize (or simply ignore) that the same company broadcasting television series like Glee also owns Fox “News” (not exactly congruent as both appeal to difference audiences). Then there is the foreign ownership: Rupert Murdock is not American and the second-largest holder of voting stock in the company is Saudi Prince Al-Waleed bin Talal (yes, a brown skinned Arab owns stock in Fox “News”). 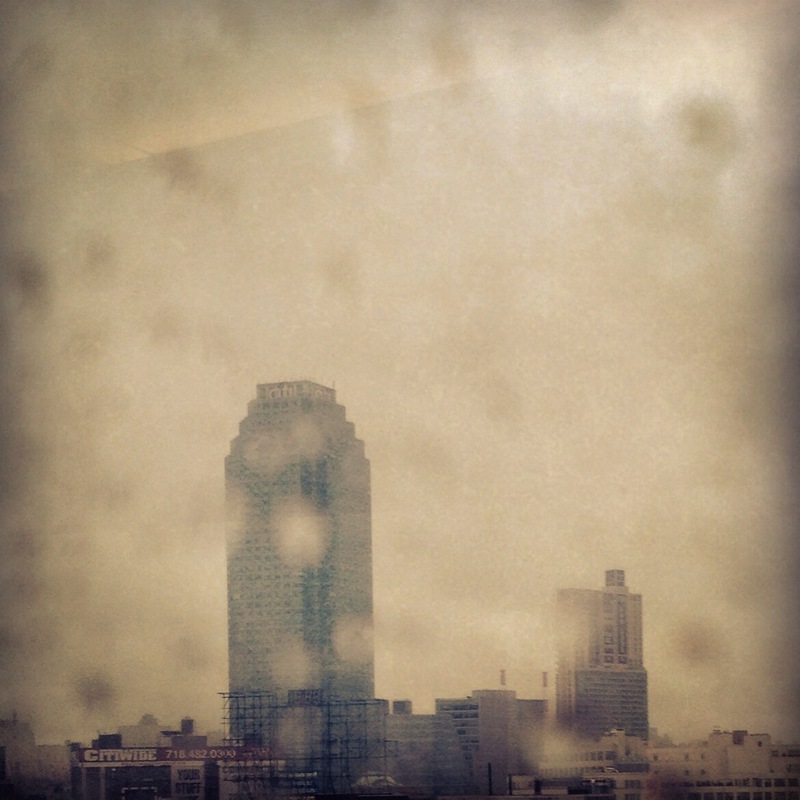 Some may say that MSNBC is the Progressive equivalent, but there are noticeable differences. First of all, MSNBC has at least one conservative voice (Joe Scarborough). Second, whenever you watch an MSNBC program, they provide substantiation: watch a segment of Rachel Maddow and she isn’t merely speaking, she provides sources (often using visuals). Coulter and Fox “News” just tell their audience what they want to hear; they are essentially pushing a product. This mindset creates an assortment of perils, the most notable being the loss of apt discourse. What we have now are Conservatives who immediately reject any idea (like climate change) that bears any semblance to something progressive or scientific (often referred to as ‘elite’) regardless of how sound or how much evidence has been provided. 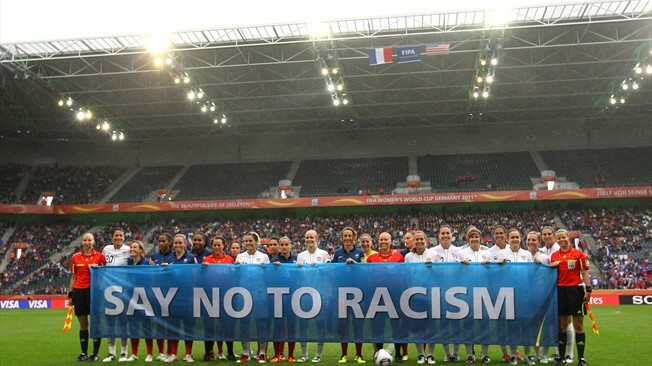 As I was watching Brazil play against Chile, in between the infinite cycle of big company logos being flashed on the field monitors, I took notice of a message that conveyed #stopracism. Coulter came to mind because I remember reading one headline regarding how she grumbled about the game being foreign. Out of morbid curiosity I read her article. Scattered like a shipwreck on a beach, the article manages to take bizarre pot shots at the metric system, soccer moms, girl soccer players and Michael Jackson. Here are several points I have extracted from the wreckage. Not using your hands in sports takes great coordination and brainpower. You have to move and kick the ball while maintaining balance and strategizing where on the field you are going to kick it. What is so wrong with Americans liking Fútbol (soccer)? Could it be that some Americans watching the 2014 World Cup may want to start exploring how Brazil became energy independent (https://law.wustl.edu/WUGSLR/Issues/Volume7_2/Potter.pdf )? I have seen solar companies advertised on those field monitors (http://www.fifa.com/aboutfifa/socialresponsibility/environmental.html ). Is it because too many brown people are playing? Is it because it can inspire thoughts of understanding and tolerance? Interestingly, if you watch the games on Spanish-language television, many of sponsors convey the above sentiments (not so on American television). In a country like the United States, where you have a handful of small minded puritanical holy rollers picking narrow-minded textbooks for children (http://www.nybooks.com/articles/archives/2012/jun/21/how-texas-inflicts-bad-textbooks-on-us/ ), the last thing Americans need is to have an even lesser understanding of the world. I am truly embarrassed whenever I read anything discussing America’s lack of knowledge regarding geography and basic social studies. Coulter notes American Football’s ratings as if she had been hired by the NFL (http://www.npr.org/2014/01/18/263767372/the-nfl-big-business-with-big-tax-breaks) to stomp out any potential competition. Is it so hard for both sports to co-exist? In Coulter’s narrow view it is. She seems to have little sense that there’s an enormous, complex world beyond our borders. She seems to think that the universe consists of the United States and then everyone else—and that everyone else should be stomped on. I am pretty sure that Coulter’s readers do not know that American Football came from the European sport called Rugby (http://www.britannica.com/EBchecked/topic/550852/football )? And Rugby has roots in similar ancient games found in Ancient Greece and China (http://www.fifa.com/classicfootball/history/the-game/origins.html ). Like most things in modern America, it started somewhere else. Coulter, suffocate with that thought the next time you order French fries or a slice of pizza. 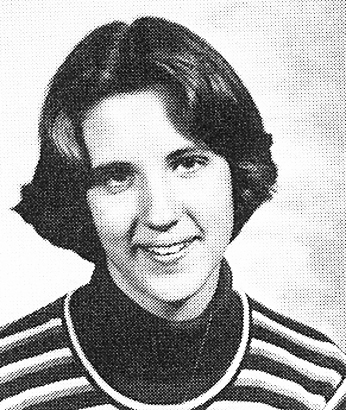 Ann Coulter, circa 1980. Years before she got that boozy, party girl look that she has been sporting since the 1990’s and is too old to pull off in 2014. 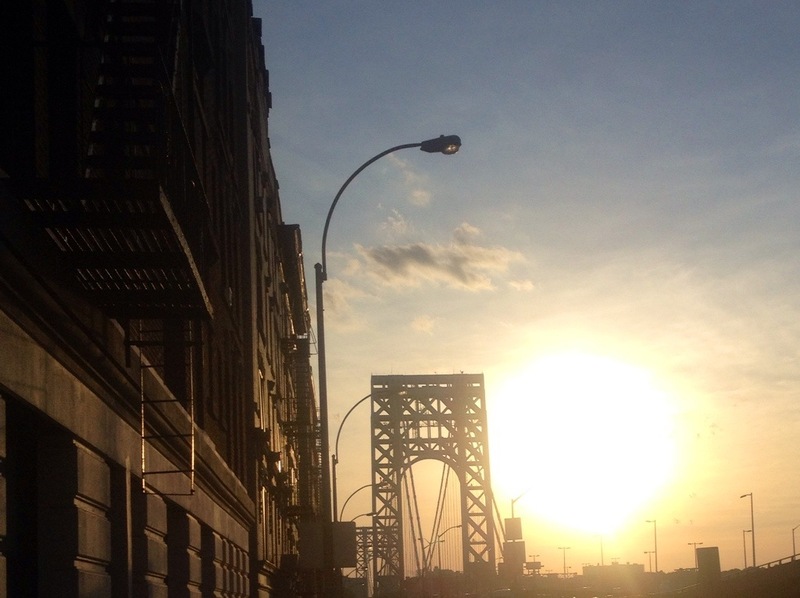 Sunset at The George Washington Bridge.